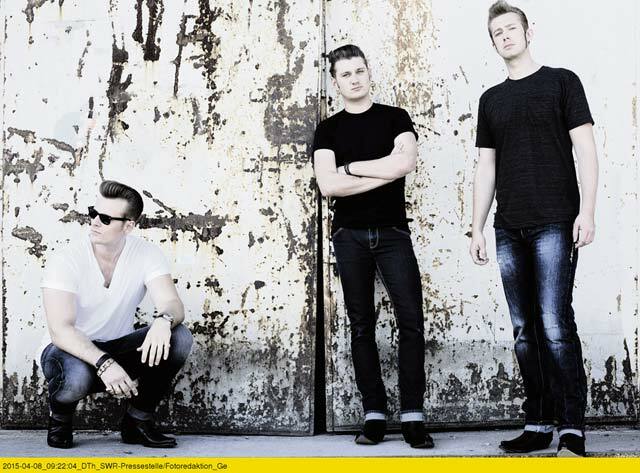 The Baseballs are one of many groups performing during the Rheinland-Pfalz State Fair today through Sunday in Ramstein-Miesenbach. There are 29 event areas, 11 stages and 250 stands with entertainment, displays, information and food. The U.S. military has displays in the Reichswald stadium, next to the docu center, where the history of Americans in the area can be explored. A fireworks display is scheduled for 10:45 p.m. today. A parade with 2,500 participants starts at 1 p.m. Sunday. For details, visit www.ramstein-2015.de or get a program from the Window to Rheinland-Pfalz counter in the KMCC. 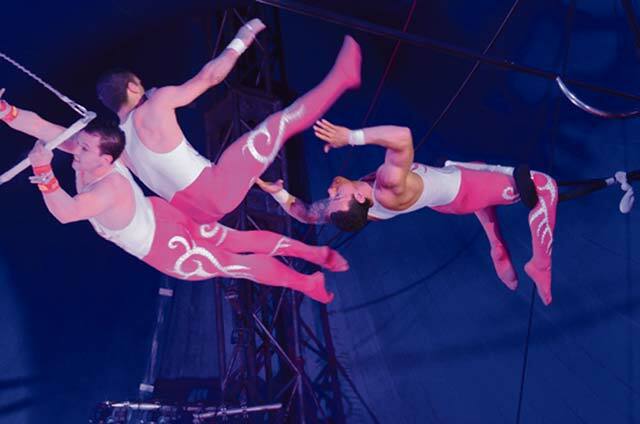 Circus Charles Knie presents international artists, clowns, tigers, lions and elephants 3:30 and 7:30 p.m. Wednesday to July 4, and 11 a.m. and 3:30 p.m. July 5 in a circus tent on Messeplatz fairgrounds in Kaiserslautern. A special family performance is 3:30 p.m. Wednesday, when all tickets cost €10. Tickets on other days range from €10 to €33. For details, visit www.zirkus-charles-knie.de or call the ticket hotline at 0171-9462456. • “Halka,” a Polish opera by Stanislaw Moniuszko, in German, 6 p.m. Sunday and 7:30 p.m. July 10 and 18. • “Rigoletto,” an opera by Guiseppe Verdi, in Italian, 7:30 p.m. July 3, and 6 p.m. July 12. • “Bolero,” a ballet by Stefano Giannetti, 7:30 p.m. July 4. “Viel Lärm um nichts,” a comedy by William Shakespeare, in German, 3 p.m. July 5 (with childcare) and 7:30 p.m. July 15. • “Chopin,” a ballet by Stefano Gianetti, 8 p.m. July 5, 8, 12, 16 and 18. • “Fidelio,” an opera by Ludwig van Beethoven, 7:30 p.m. July 8, 14 and 17. • “Pariser Leben,” an operetta by Jacques Offenbach, 7:30 p.m. July 9. • The band Still Collins covers songs by Phil Collins and Genesis, 8 p.m. today. Tickets cost €20. • The band The Doors of Perception covers songs by The Doors, 8 p.m. Saturday. Tickets cost €15. • The music group Quartchêto from Brazil presents Latin music, 8 p.m. July 10. Tickets cost €20. For more information, visit www.kammgarn.de. • The Pfalztheater Orchestra presents works by Sergej Rachmaninow and Sergej Prokofjew, 8 p.m. today. Tickets cost from €17 to €25. • Jazz Stage meets France with five musicians, 8 p.m. July 3. Tickets cost €14. For tickets, call Kaiserslautern Tourist-Info at 0631-365-2317. • Outdoor concert with Musikverein Kollweiler performing brass music of all kinds, 11 a.m. to 1 p.m. July 5. Admission is free. Snacks and beverages are available in bistro. Children’s adventure playground is next to music pavilion. • The bands Felicity Died Laughing, Sinter and the Sad present Indie pop, grunge and metal, 8 p.m. today. Tickets cost €7.50. For details, visit www.juz-kl.de. • “A Little Market Music” with children and youth choirs, noon Saturday. Admission is free. Donations are accepted. • The band Tin Pan Alley presents blues, rock and boogie, 8:30 p.m. July 4. For details, visit bildhaus.info. • Musical summer with Mr. Joe & Band: “Tribute to Joe Cocker,” 8 p.m. July 4. Tickets cost €13 to €22. For details, visit www.rockenhausen.de. • Kaiserslautern Gartenschau, through Oct. 31. Special events: Sunday: Environmental Day with games and activities. Catholic worship service with music by Kolpingkapelle Erfenbach, 11 a.m. in willow church. Music in the park with choir Vielharmonie performing pop, rock, musical songs, 2:30 p.m. on open-air stage. Flower show, “Timeout,” in flower hall, to July 19. Lego display in exhibition hall to Tuesday. Opening hours are 9 a.m. to 7 p.m. Tickets cost €7 for adults and €3 for children. For details, visit www.gartenschau-kl.de. • Kaiserslautern, Japanese Garden open through Oct. 31. Hours are 10 a.m. to 6 p.m. For details, visit www.japanischergarten.de. • Bann, village fest, Saturday and Sunday. • Heltersberg, chicken fest, Saturday. • Bad Bergzabern, Kurpark fest, today and Saturday. • Göcklingen (north of Bad Berg-zabern), wine fest, today to Monday. • Zellertal-Zell (on B47, west of Kirchheimbolanden), Enchanting Zellertal, wine and arts market, Saturday and Sunday. • Kaiserslautern, old town fest, July 3 to 5 (read article on page 19). • Bruchmühlbach, Westrich summer fest with rides, fest tent, music, July 3 to 6. • Neustadt-Mussbach, wine fest, July 3 to 5. • Bobenheim-Roxheim (south of Worms), gondola fest with live music, kids’ activities, July 3 to 6; rides in Venetian gondolas July 4 to 6. • Kaiserslautern, Pfalz-Center (across from Daenner Kaserne), 7 a.m. to 4 p.m. Saturday. • Kaiserslautern, Merkurstrasse, festgrounds near BMW dealer, 8 a.m. to 2 p.m. Saturday. • Kaiserslautern, Opel parking lot, Portal 4, 1 to 6 p.m. Sunday. • Mehlingen, Abtstrasse 25a, 7 a.m. to 4 p.m. Saturdays. • Bad Dürkheim, Saline (saltworks in Kurpark), 11 a.m. to 3 p.m. today and July 3, and 8 a.m. to 4 p.m. Saturday and July 4. • Saarbrücken, Schlossplatz 1-15, vintage market, 8 a.m. to 6 p.m. Saturday and Sunday. • Homburg, center, Am Forum, 8 a.m. to 5 p.m. July 4. • Sembach, Gewerbepark (former air base), 10 a.m. to 4 p.m. July 5.